Dr. Davis is a cardiologist and author of the #1 New York Times bestseller, Wheat Belly: Lose the Wheat, and several other books on adopting a wheat-free diet as a way to improve health, and lose weight. Dr. Davis’ most recent book is Undoctored: Why Health Care Has Failed You and How You Can Become Smarter Than Your Doctor. Dr. Davis has made a number of television appearances including the Dr. Oz Show, and the Colbert Report, and he now focuses on preventive care and providing self-empowering strategies to the public through his books and projects. In today’s interview, we talk about wheat, and why it causes so many issues for so many people. How did Dr. Davis become the “wheat guy”? Is gluten the only problem with wheat? What are some of the other issues with wheat and other grains beyond gluten? Can human beings even digest grains? If grains are so indigestible, how have human beings been consuming it for thousands of years? What is the difference between modern wheat and the wheat our ancestors used to eat? How has wheat been modified over the years, and why is this “new” wheat so problematic? How does eating wheat affect your appetite? What effect do wheat and other grains have on your blood sugar? We know that there are people that absolutely can’t eat grains, but what about the rest of us are there negative implications for all of us? Should we all stop eating wheat? Is there a middle ground? 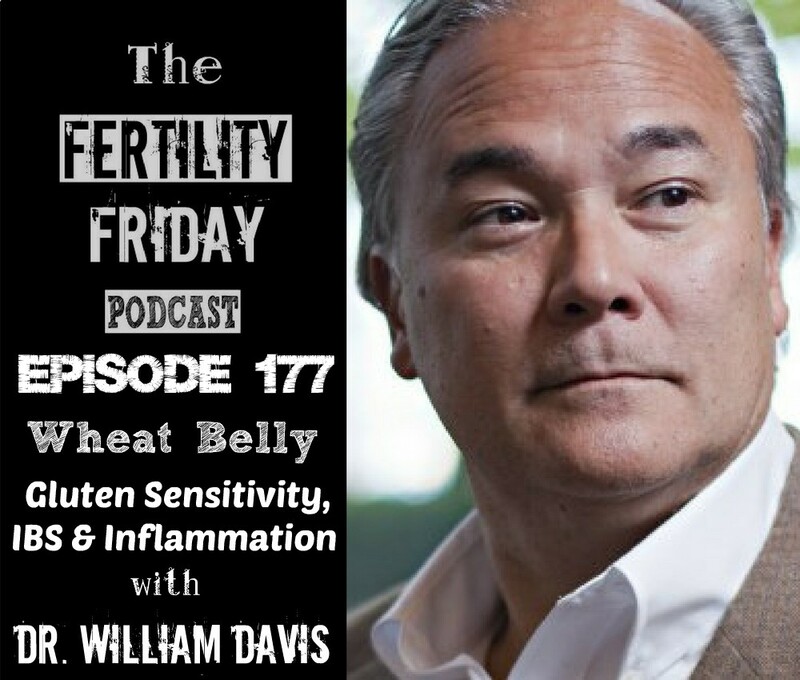 Is wheat and other grain consumption related to infertility? You can connect with William on his Website, on Facebook, and Twitter.